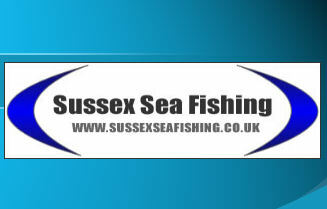 http://www.fishyrob.co.uk/ An interesting site about sea fishing along the south coast and further affield. Also the diary section is well worth a look. ABfishingtackle - We are an online Sea Fishing Tackle retailer and stock many ranges from manufacturers such as Leeda, Shakespeare, Lureflash, Anyfish Anywhere, Okuma etc. www.dragonsigns.co.uk For all your signage needs. www.mightybright.co.uk Mighty Bright is a subsidiary of Drag-On Signs, and deals primarily with reflective solutions for a wide range of uses, Uses range from what has become, probably, the best reflective tip tape available to anglers, ever. To reflective boat names and other marine applications, Emergency recovery vehicles, roadworking equipment, cyclists, and more, In basic terms, If you need to see it, or need to be seen, Then ‘Mighty Bright’ reflective solutions can help. Copyright © Sussexseafishing 2007. SussexSeaFishing is not responsible for the content of external internet sites.